1. Shop with reputable merchants. Only purchase from online vendors that you are familiar with, or do some research first. If you are not familiar with an online store, use caution. Just because the website looks professional, it doesn’t mean the vendor is trustworthy or has proper security controls in place. Check an independent source that allows customers to rate their shopping experience with a vendor such as Reseller Ratings. You can also refer to the Better Business Bureau to see if there are any complaints listed. You should also be aware that in some cases, you may be purchasing from an individual rather than business, and your legal recourse may be different in the event of a dispute. 2. Check the merchant’s customer information and return policies. Before ordering, be sure to read the terms of sale, return policies and fees, shipping methods and prices, and guarantees. Make note of vendor’s policies for storing and distributing your personal contact information. If you do not want to be included on mailing lists or have your contact information made available to third parties (spam lists), look for an option on the web site to indicate your preference. Do not provide vendors with sensitive personal information, such as your social security number or bank account numbers. Basic shipping and credit card information is all that should be required to make a purchase. 3. Be sure the transaction is secure. When you are in the checkout process, the web site should be using encryption called SSL (Secure Sockets Layer). 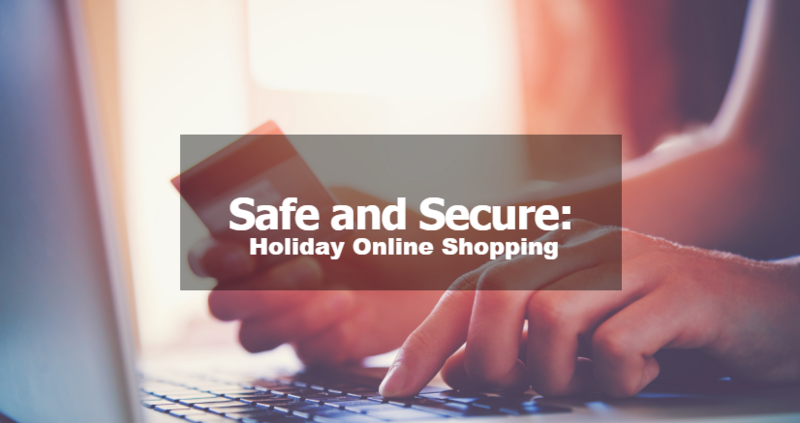 SSL ensures secure transmission of your credit card information across the internet. You can tell if the web site is using SSL by looking for “https://” (rather than “http://”) at the beginning of the web site’s address in the browser. Another sign is the presence of a padlock symbol in the address bar of the browser. In Internet Explorer, the padlock symbol will appear on secure pages in the address bar, located to the right side of the web address. You can click on the lock symbol to verify the security of the site. 4. Never send credit card numbers via e-mail. Although it is generally safe to enter your credit card number on a secure web site, it is not safe to send it through e-mail. E-mail is sent through the internet in clear text (non-encrypted) format, so it’s possible for someone other than the vendor to see it. Sending a credit card number through e-mail is the equivalent of writing it on a postcard rather than mailing it in an envelope. 5. Keep a record of your transaction. Before you leave the transaction page of the web site, print a copy of the screen and keep it for your records. Check your credit card statements to verify you were charged the proper amount. Also, keep any e-mail confirmations about your order for later reference. 6. Use Identity Finder to protect your data. All FIS-supported computers have a program called Identity Finder installed. It will search your files, e-mails, databases, websites, and web browser data for Social Security numbers, Credit Card numbers, Bank Accounts, Passwords, etc. so you can then take steps to remove the sensitive data from your files. This program is also available for home use by contacting FIS. 7. Keep a record of your transaction. Before you leave the transaction page of the web site, print a copy of the screen and keep it for your records. Check your credit card statements to verify you were charged the proper amount. Also, keep any e-mail confirmations about your order for later reference. 8. Take action if there is a problem. If you do have a problem with an online vendor, first attempt to work it out with them directly. Don’t just rely on e-mail; call them as well. If you cannot resolve the problem to your satisfaction, you should contact your bank and ask them to stop the payment. If that’s not possible, you can use an online service such as SquareTrade to resolve your dispute. You can also file a complaint to the state Attorney General’s Office, who will investigate the case. You should also post your experience on a site like Reseller Ratings so other customers can be warned. While you may also wish to contact the Better Business Bureau, note that they have no authority over the vendor. They will simply accept your complaint and allow the vendor to respond.